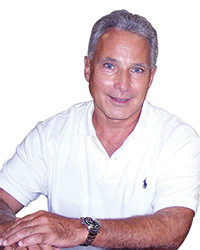 As an industry veteran of 45 years, I have witnessed profound changes in the health and fitness club industry. I started working in sales in a privately held chain that merged in with Health & Tennis Corporation of America, owned by names that have become famous in our industry, Jerry Kahn and Donahue Wildman. When our companies were acquired by Bally, the total number of clubs stood over 600 nationally and the second largest chain was Gold's Gym. The only other franchises, which really operated as licenses, were World Gym and Powerhouse Gym, and remained the same for many years. Fast forward to today, and when you conduct a Google search, there is an article listing the top 20 fitness franchises (bit.ly/clubinsider58), which includes Workout Anytime Franchising, Crunch Franchising and Planet Fitness Franchising, all regular advertisers in Club Insider. Our company has been packaging equipment leases and SBA loans to clients within the fitness industry for well over a decade. We first exhibited and gave seminars at the International Franchise Expo in NYC in 2016 and have actively provided financing to clients within the franchise industry. Over the last three years, our company has begun financing franchisees that are sent to us by Workout Anytime, Blink, F45 Training, Tapout Fitness, Camp Transformation Center, Physical Therapy Now, Zoo Health Clubs and HOTWORX. There have also been many fitness franchisors that have exhibited at franchise expos that were launching their franchises for the first time and owned some clubs serving as a proof of concept that I haven't seen since that time. Franchising in fitness is exploding and very competitive!